Carole Sandra Pugh, age 72 of Auburn (originally Dunoon, Scotland), passed away on January 9, 2019. She was born to the late Stewart and Isobel Jackson on July 31, 1946 in Dunoon, Scotland. She was a graduate of Glasgow University and spent the next six years working and traveling the world. Carole’s adventurous spirit took her backpacking through Europe, the Middle East and East Asia, with physio jobs in London and Australia to support her traveling funds. On a short training course in San Francisco she unexpectedly met a young American Naval Officer that changed the course of her life 46 years ago. Carole and her husband, Bill, recently celebrated 43 years of marriage and have spent 35 of those years living in Auburn, Alabama. 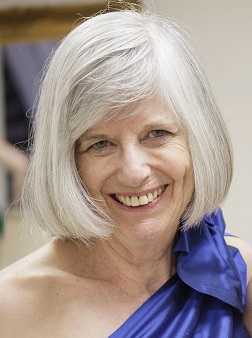 Carole was a retired Physical Therapist and was a very active member of First Presbyterian Church of Auburn (FPC). Carole and Bill were avid world travelers with trips to all seven continents. Carole was committed to many philanthropic causes with multiple service trips to Africa with CURE International and mission trips with FPC. Carole was an active participant in many local organizations: Philanthropic and Education Organization for Women (P.E.O), The International Women for Peace and Understanding, OLLIE Classes, Tai Chi and Book Group. Carole was preceded in death by her parents Stewart and Isobel Jackson. She is survived by her husband William Pugh, and daughters Gwendolyn Crumpton (Archer), Jennifer Pugh (Jody Self) and Caitlin Butts (Cody) and her four grandchildren Michael Archer Crumpton, Evelyn Crumpton, Quinn Self and Campbell Butts. Carole was best known as a daughter, wife, mother, grandmother (“Beeba”) and loyal friend. She truly lived her life to the fullest and never let a minute be wasted. She will be missed by so many around the world. A memorial service will be held Saturday, January 26th at 2:00pm at First Presbyterian Church of Auburn (143 E Thach Ave). In lieu of flowers, please consider a donation to Presbyterian Community Ministry (PCM), in Carole’s honor. Jeffcoat-Trant Funeral Home and Crematory.